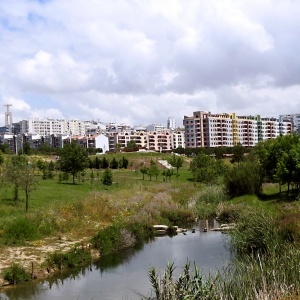 I’m conducting a PhD in Plant Ecology at the University of Lisbon, with a scholarship from Fundação para a Ciência e Tecnologia (FCT), under the supervision of Otília Correia (cE3c, UL), Adrián Escudero (Rey Juan Carlos University) and Félix Forest (Kew Gardens). 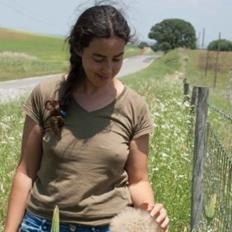 My research is focused on the study of how ecological and evolutionary processes interact with human management to generate the diversity of plant communities associated to Mediterranean traditional farmland systems, in order to identify the key factors sustaining taxonomic, functional and phylogenetic diversity. My study system comprises the traditional olive groves in basic soils, which are a typical agroecosystem of the Mediterranean region with a very rich and particular flora, including several endemic species strictly inhabiting these human dependent habitats, yet very threatened at present. Besides the scientific questions of my work, I also intend to contribute to the conservation of these unique plant communities and habitats by improving their understanding and raising awareness of the current problems. Since my graduation in Plant Biology (FCUL), I developed a great interest in botany and plant ecology and conservation. I have been participating in several vegetation field sampling campaigns, having a solid experience in plant identification and in vegetation survey methods. In parallel to my scientific research, I’m a member of Sociedade Portuguesa de Botânica (SPBotânica) and regular contributor of the online platform about the Portuguese flora - Flora-On (www.flora-on.pt).